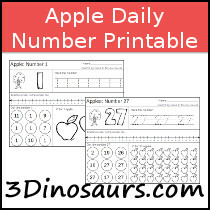 This is a sample of the Apple Daily Themed Number Printables. 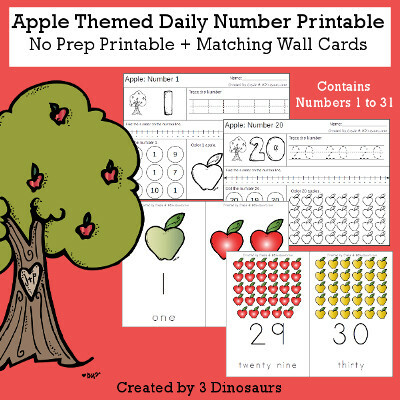 You can find the full set on Teachers Pay Teachers or Teachers Notebook for $4.00. 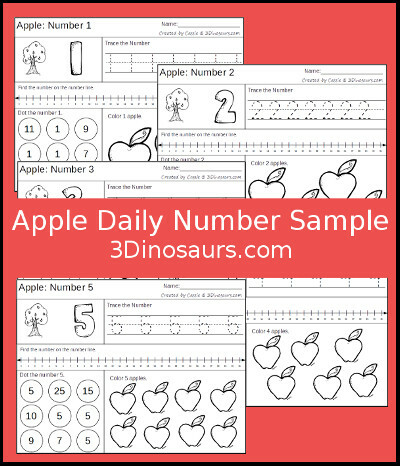 Click on the files below to download your copy of the Apple Daily Themed Number Sample with Tracing.